It is officially National Roofing week! National Roofing Week is celebrated in order to recognize the importance of a roof to every home and business. It also stresses the value of professional roofing contractors and promotes the good deeds of the industry. A roof is the first line of defense against natural elements such as rain snow or wind yet it is often taken for granted until it falls into disrepair. Organized by the national roofing contractors association (NRCA), national roofing week is a reminder that the roof is one of the most important components of every structure and it should be treated like one. We want to show off the essential role professional roofing contractors play in every community as well as the importance of making informed decisions about maintaining or replacing any roof system. During national roofing week, we will be highlighting several components of our company through our website and social media. Today we are highlighting our employees! Without our incredible staff, we wouldn't be the company that we are today. Through each and every step of the construction process, our employees provide the best service for our clients. From the moment we answer the phone through completion of a project, we rely on the skill and knowledge of our employees to uphold our values and expectations. We believe that our employees reflect everything that we stand for and they do a great job at it; both in the field and in the office. Thank you to our staff who are such an integral part of the roofing process! Today we celebrate all that you do not only for us but for the roofing industry. 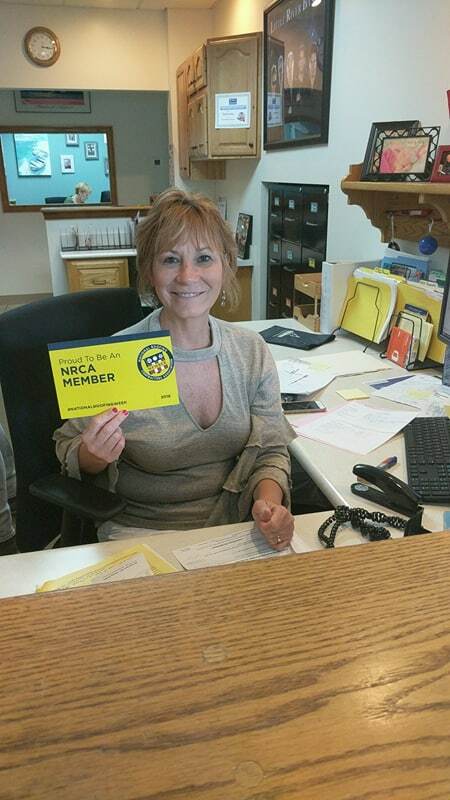 We are proud to be a part of the NRCA.